It may look that this view is unreal and created by our brain. However, such a view exists for real. 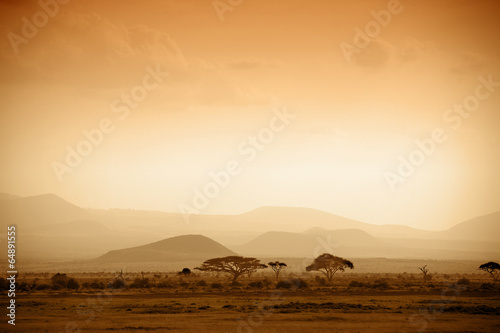 It looks on a photo wallpaper just like the African dream. A view of Savannah in full sun is a perfect motif for a living room or every interior in your house. If you love harmony, sepia tone won’t clash with it.